It has been an amazing journey since 1997 when I started with Les Elfes. Being witnessing to thousands of young Indian adults getting exposure to a very extraordinary environment is a treasured experience. The Les Elfes India Team believes in providing the best of all worlds for your child. 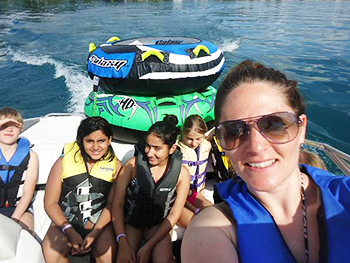 In a safe environment, under the supervision of exemplary staff, your child will experience cutting-edge adventures & personality enhancing coaching led by experienced professionals. 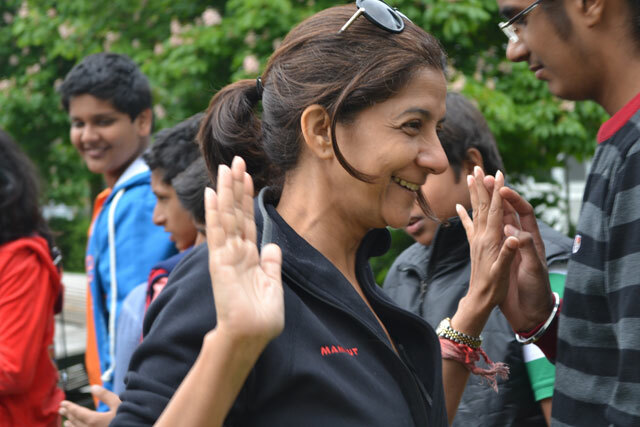 Campers are encouraged to develop their talents and experience independence in an international setting. Our two-week sessions in spring and summer or the winter Weeks allow campers more time to explore & develop their new-found skills. My biggest reward has been seeing my participants feel proud of themselves and realize their strengths along with the desire to overcome their weaknesses both physical and intellectual. At the end of two weeks, their heightened sense of confidence is my bonus for the year. It provides me immense satisfaction to see the global citizen that emerges from a Les Elfes experience I have enjoyed every day of my work and aspire that every young Indian is able to participate at Les Elfes before he/ she graduates from school and steps into the world with a better sense of preparedness. 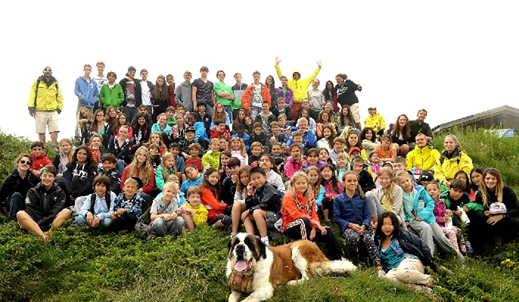 Les Elfes is a Swiss organization with over 30 years of working with children. With a client base spanning all the continents, we offer opportunities to young adults between the ages of 7 and 18 years, to discover and learn beyond formal education in an international environment. From August to December we host winter, spring & summer camps offering adventure sports, leadership & skill development programs. 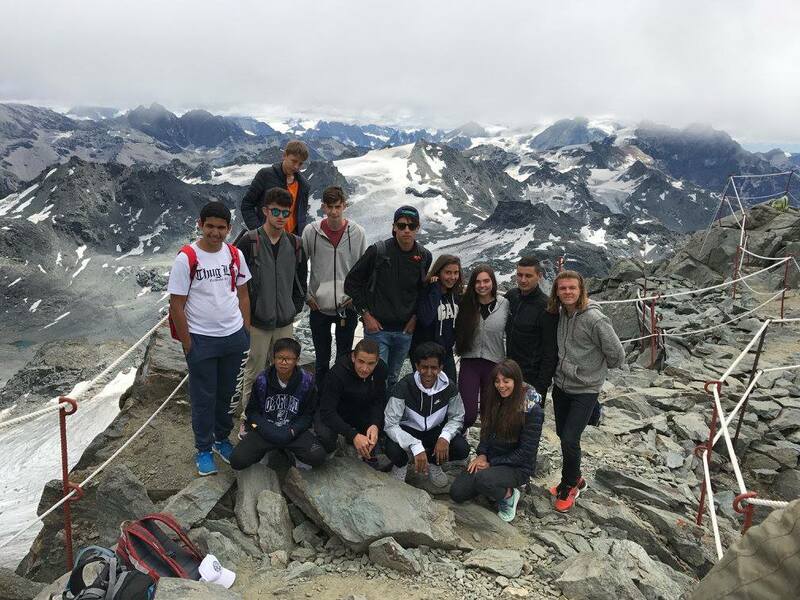 Based in the picturesque location of Verbier Switzerland we work with over 5000 campers from over 50 campuses during the course of the year for the various programs offered at out three locations in the Valais Canton. All schedules offered at Les Elfes span over fourteen hours each day and includes adventure sports, personality development programs & skill development as important deliverable. Les Elfes was introduced to India in 1997. The keen interest in such programs and the paucity of available options ensured a full-fledged Indian Operation Les Elfes India, which is now functioning successfully in most parts of the country. We have tweaked the Les Elfes Program slightly to suit the Indian mindsets. We have tried to address all issues to provide a sense of security and comfort to the Indian participant and the Indian parent by creating an extended family environment. Les Elfes offers holistic personality development programs for ages 7-18 years from December to August these camps offer a range of activates guaranteed to positively impact personality & character building via Experiential learning. 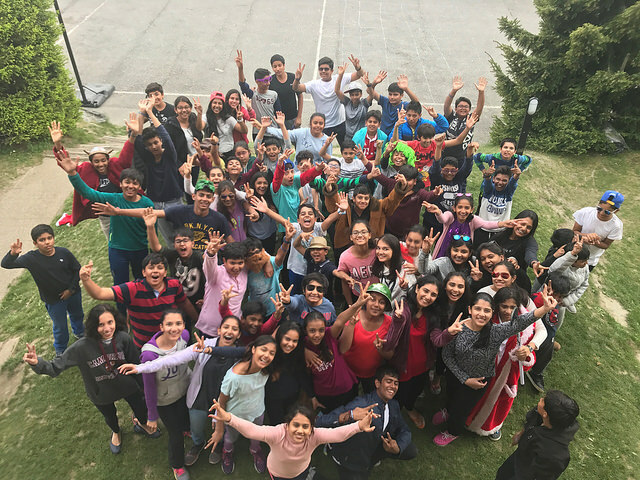 A Les Elfes Camp spans twelve to fourteen hours of experiential learnings each day and includes adventure sports, personality development programs & skill development as an important deliverable. 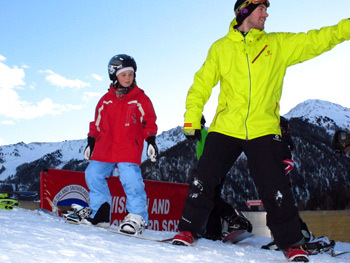 The forte of Les Elfes program in Winter & Spring is the skiing camp at Verbier & Zermatt. 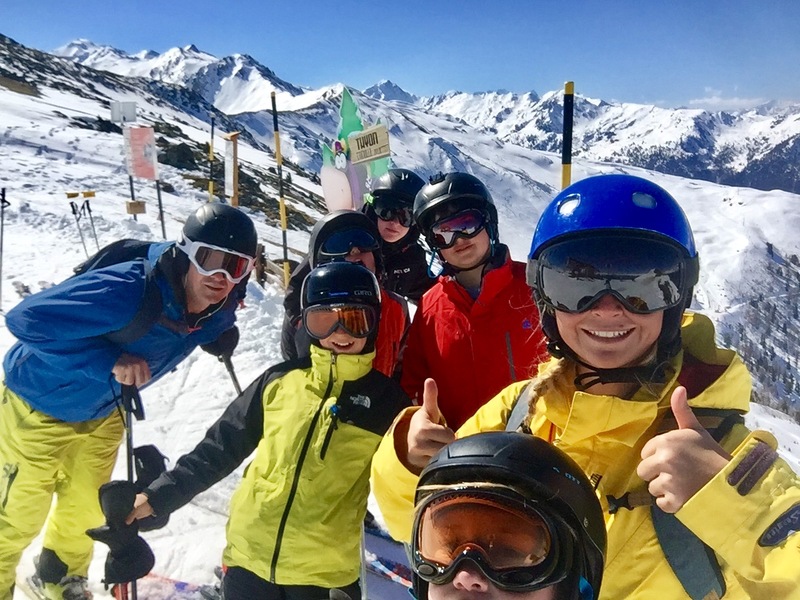 Whether skiing for the first time, or a seasoned enthusiast, our team of qualified instructors make sure there is a good level of progression and, above all, fun for everyone. 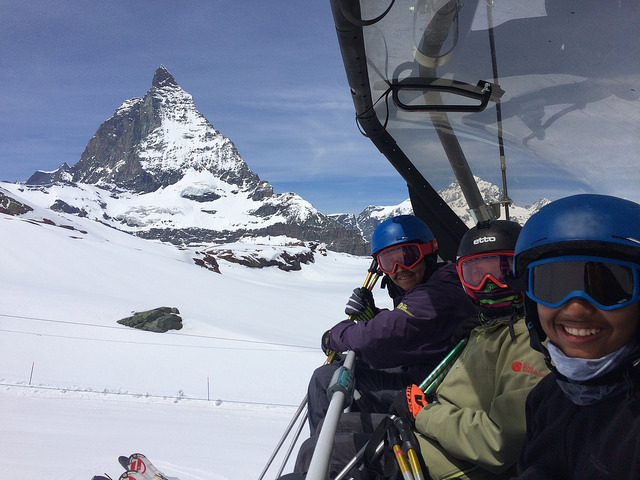 Snowboarding, Mountain Biking, Para sailing & Alpine Hiking, Rock Climbing, Bridge Swinging Rope Course are some of the other Adventure sports that can be experienced. The experiential learning pedagogy employed in Les Elfes Leadership is focused on unlocking the innate potential of the young people we teach. Les Elfes Educational & Personal Development Programs are designed and Facilitated by graduates of Liverpool John Moores University ‘s Outdoor Education degree where they have studied under some of the UK’s foremost academics in the field Outdoor Leadership Training and Development. 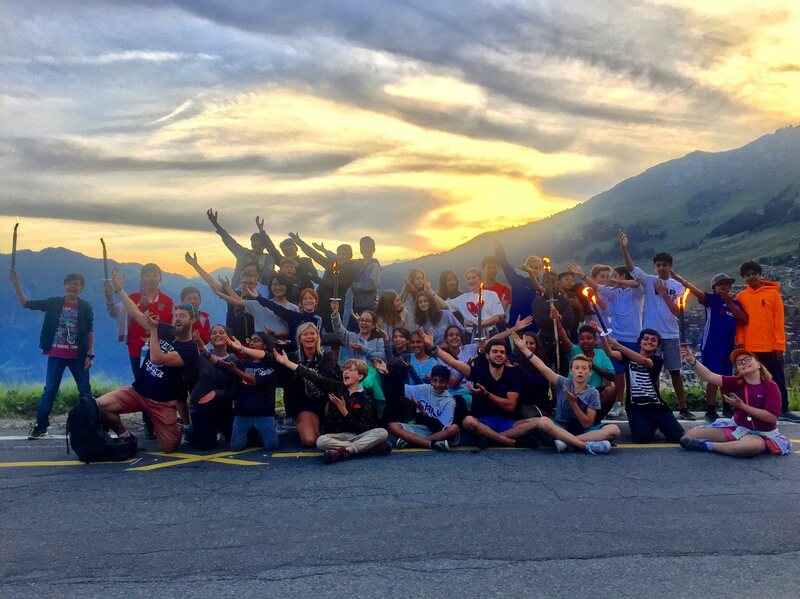 Together with the team of experienced and dedicated staff and the fabulous resources available in and around our alpine campuses, Les Elfes are able to offer some of the most exciting, contemporary and relevant leadership and personal development programs. During the Spring Camps there are 28 hours of combined activities focused purely at leadership &amp; personality enhancement. 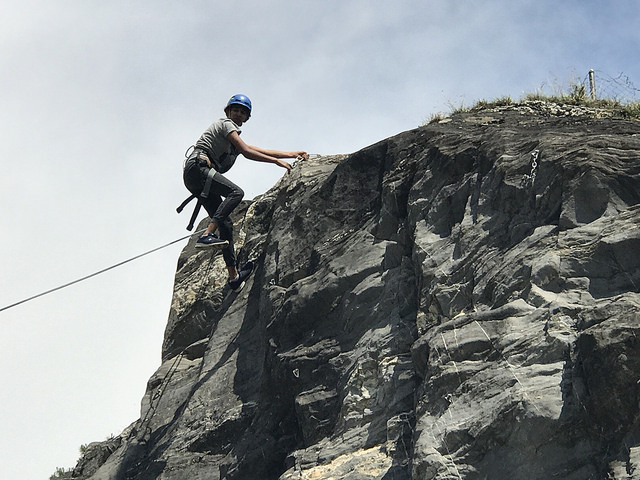 This combination of leadership development combined with adventure sports has enabled a program which will help your child discover and strengthen new facets of his/her personality year on year on their path towards college and adulthood. Our leadership course at Les Elfes this spring transcends the logistics of leading a group, the mere mechanics of organising others and focuses on our intentions and our goals and how these affect our attitudes and our actions as leaders. Developing a firm concept for self worth, fairness, equality, honesty and positive role models is at the forefront of building leaders who can make the best decisions in new situations, who can be adaptable and prepared for any eventuality and have the confidence in their own ability to lead others in unknown terrain. 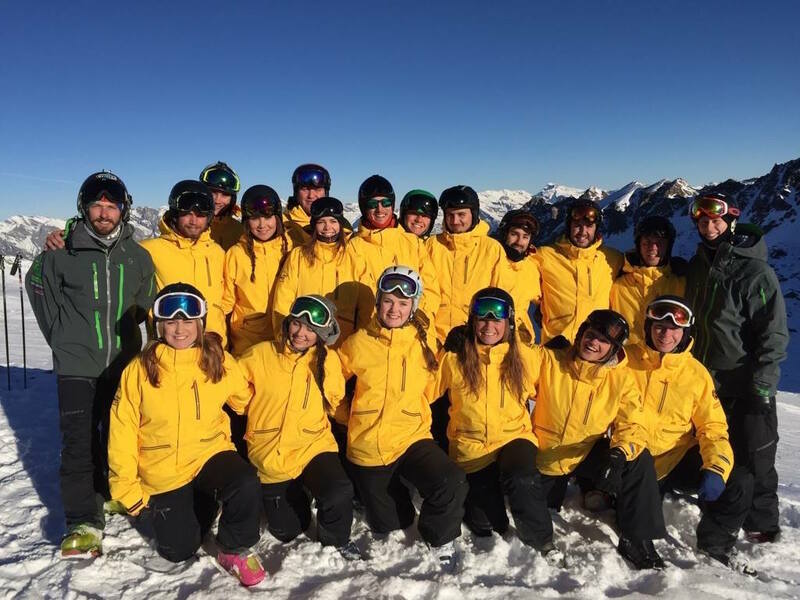 A growing facet of the Les Elfes camp our Internship courses are becoming more competitive and more sought-after each year. Our interns have a staff mentor and responsibilities at the camp. During the day they join their groups to participate in activities but in the evenings, when they wear their Les Elfes uniform. Hands on Work Experience with a mentor monitoring activities for 15+.Each applicant for the intern program must complete an application form and an interview to achieve one of the places on the program. Intern will receive a letter of reference which is a huge value add in college applications. Enjoy the exhilaration of gripping the handlebars of a mountain bike and learn how to charge down dirt paths, up steep hills and around challenging obstacles. It is an intensive program for our eldest students with each session building on the difficulty and intensity of the last to develop a confident and well-rounded technique. 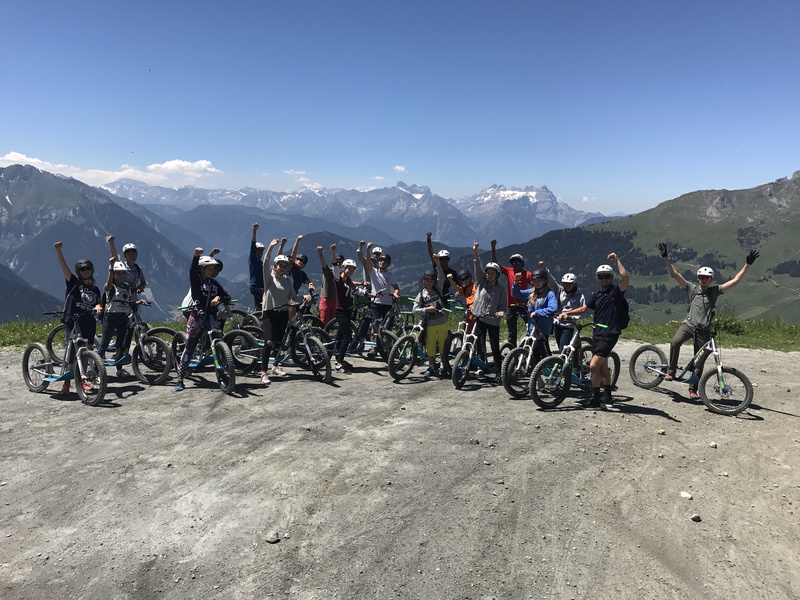 The course content will include: An introduction to fundamental bike skills, understanding equipment & safety, developing a dynamic body position for riding & leading others in the mountains. Each of our club activities is structured to develop team work and communication skills and to give our campers an opportunity to build friendships with their fellow students through fun games. In this hands-on club students are posed a design challenge to create a structure with a purpose. The participants have a limited time to design their product, build it using the materials available and to deliver a pitch explaining why theirs is the best product for the task. It’s interactive, tactile and great for getting our younger campers working together to be creative. Our photography club this spring is all about perspective photography, stop motion and illusions. Participants choose 2 clubs and in over 3 sessions of each club, they work towards a given goal. 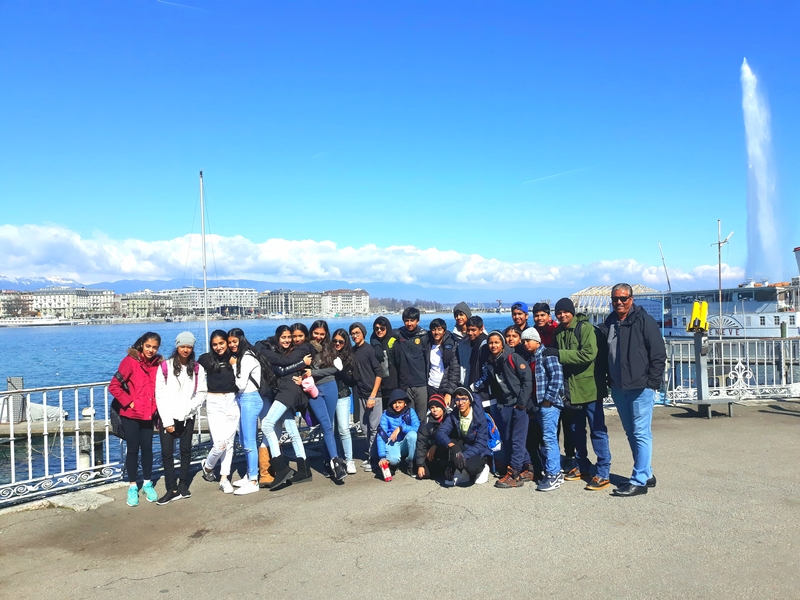 Cultural & aesthetic excursions include those at the chocolate factory, cheese factory, chalets, Vevey, Berne, Chamonix (France) Aostain Italy to see Roman Ruins. Besides this there are visits to the CERN, Olympic Museum, Charlie Chaplin Museum & Water Parks too. Experiences at Les Elfes are structures to open the heart and mind and show how magical life can be. 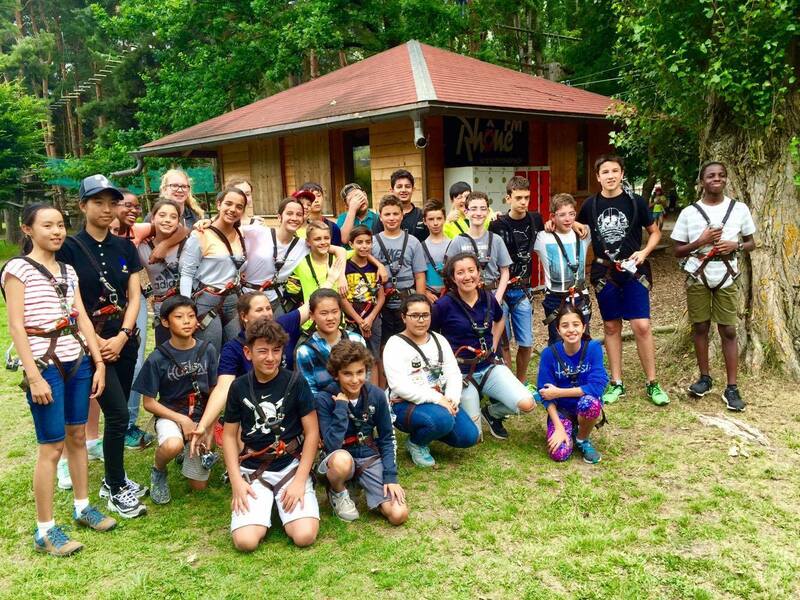 Les Elfes Camp ensures active participation, in a very broad choice of exciting activities with high degree of learning in a fun way & in a very international environment. All this is achieved along with a guarantee of maximum safety through our caring & experienced staff. Campers always return home with great experiences, fantastic memories and lifelong friendships. Through the varied invigorating experiences in its camps & based on true bonding Les Elfes aspires to promote “Cross Culturalism” and inspires the participants to become “Global citizens”. At Les Elfes, we foster Personal Growth, Encourage Responsibility, Leadership, Self-Reliance and most importantly the opportunity to discover Sense of Self. At Les Elfes we have students from all over the world. Within this international community we feel it is beneficial to recognize the traditions of each other. It not only gives students the opportunity to celebrate their nation or beliefs, but allows them to bring a little piece of home into the camp. Students from other parts of the world also learn and hopefully appreciate the cultures of others. The fabrics of society are made up of many different cultures, and here at Les Elfes we constantly strive to recognize them all, and if it means cooking some traditional dishes, or decorating the chalets accordingly, then we are more than happy to encourage students to do so and help them along the way. At most times there is a mix of over 50 different nationalities present at Les Elfes. It’s a pleasure hear from many campers about the lifelong friendships made and international networks built for their future. Risk assessments are designed for each activity and are signed by all our monitors and head instructors during daily morning briefings and daily evening briefings. They are a mere 40 minutes and 75 minutes away respectively or just 10 minutes by helicopter. All participants are closely monitored at all times. Staff strength is 1 adult to 5 campers. Intense safety measures, controls and close supervision and safe measure lead to 100% safety & security. 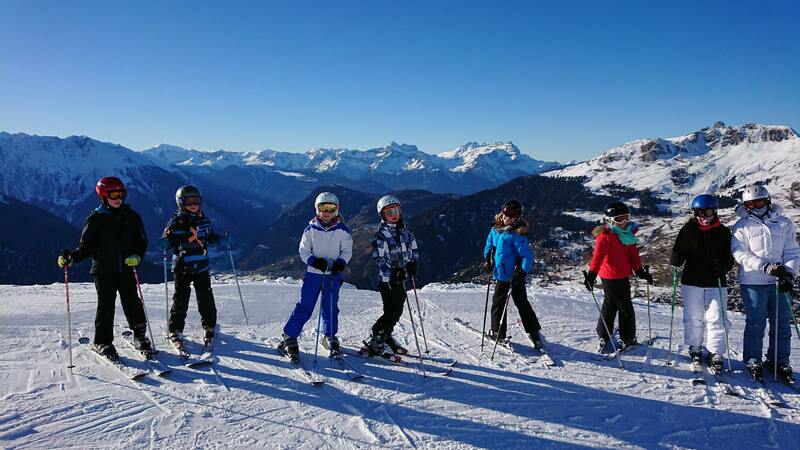 Les Elfes owns and operates properties in Verbier, Crans Montana and La Toumaz. This helps us in making the environment 100% safe. 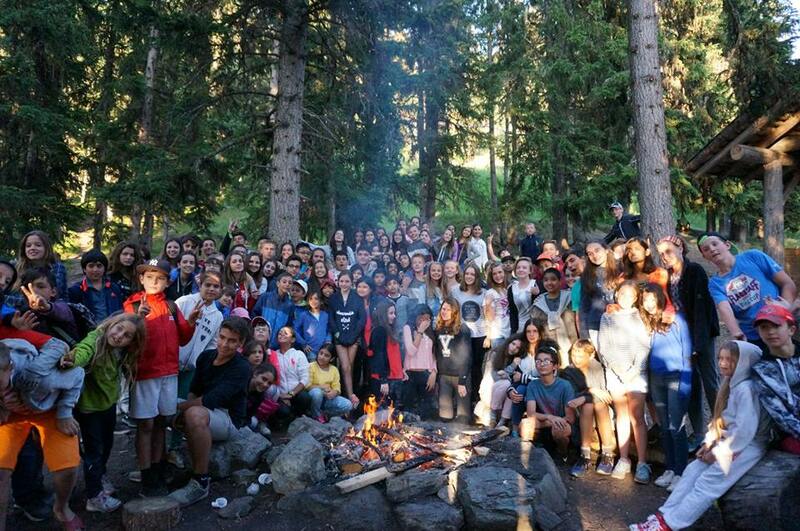 In 1987, it welcomed 500 students, and now we are delighted to welcome over 5000 campers from over 50 nations every year as well as around 200 International schools that take part in one of the numerous programs offered by Les Elfes. Keeping cultural sensitivities in mind India is the only country from where we have introduced the concept of chaperoned programs. 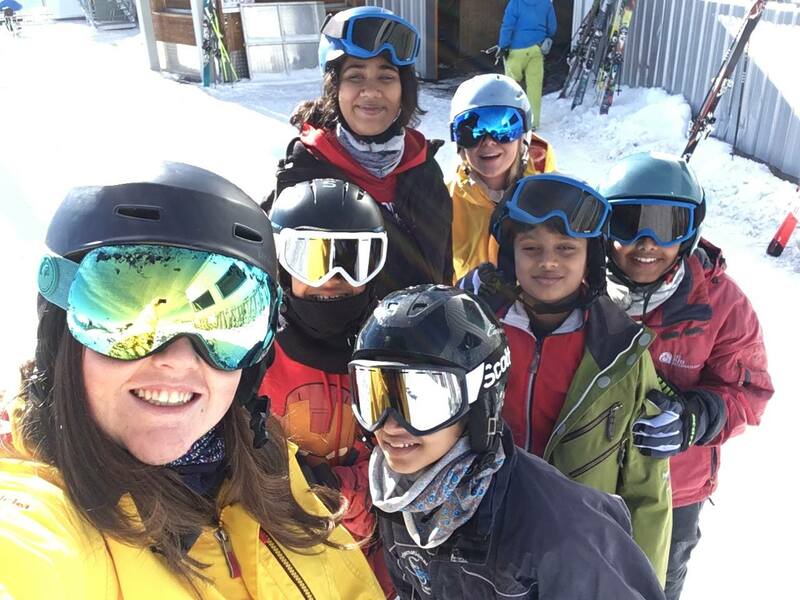 Every Year we have session lead by senior Les Elfes Team members in Winters, Spring and Summer, all structured during the Indian School Holidays. 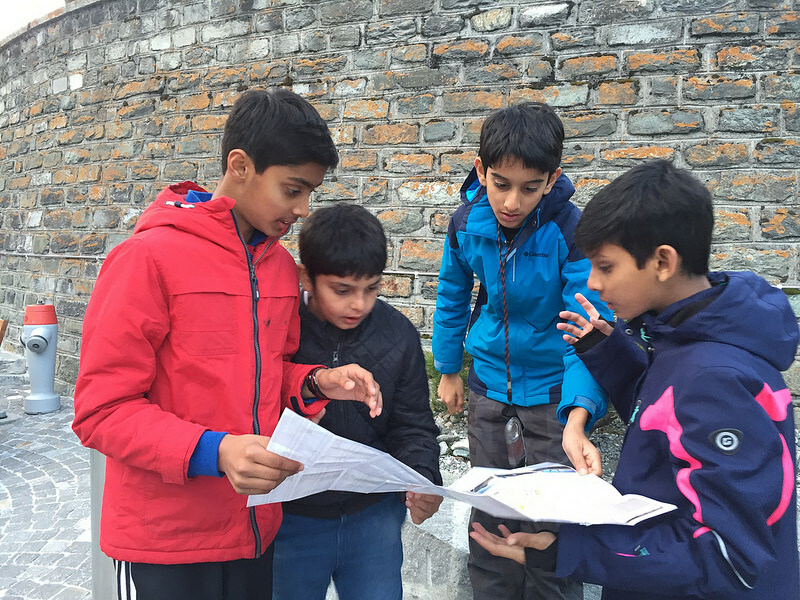 Our experienced Les Elfes Team Members travel from India to the campsite, stay with them for the entire durations of their stay and return with them. They are like guardians, friends, companions and a via media between children and parents and children and local staff They are also available on the phone for the parents to speak with for any issue at any time. 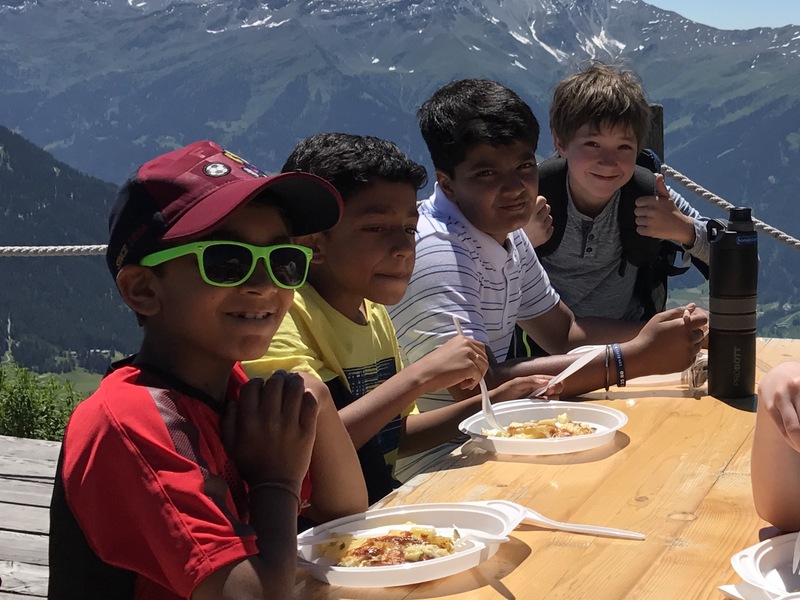 Though we encourage the children to savour the local food and enjoy the international delicacies provided by the Les Elfes chefs, we also have an Indian Chef right from April to mid-July at the campsite.